*Max 50 trees per order. To get more than 50 trees, please place multiple orders. We can ship anywhere in the continental US (California included), but cannot ship to Canada or other international locations. Some western states require bare-root shipping, so if you're in one of those states (CA, AZ, OR, WA), you may want to request a delayed delivery to avoid shipping during the peak heat of the season. If so, just tell us when you would rather receive shipment by typing a note into the appropriate box when you're checking out, and we'll ship it at the later time that you request. The roots of those trees will be packed with moist material and the leaves sprayed with an antitranspirant. 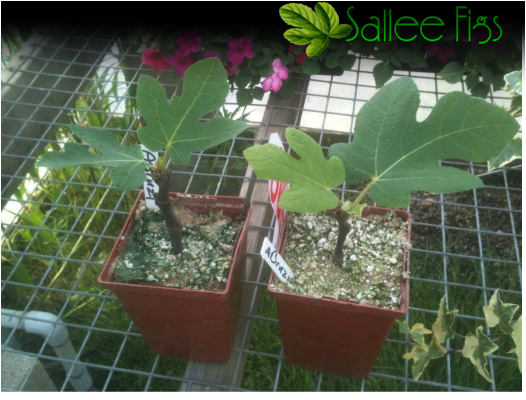 Sold out varieties can be ordered for early 2017 delivery on our "2017 Fig Trees for Sale" page. Please place separate orders if ordering trees for both 2016 and 2017 (i.e. all 2016 trees on one order, all 2017 trees on a different order), since they won't ship together.